Puerto Peñasco is a small fishing village located on the Sea of Cortez in Mexico. Commonly referred to as "Rocky Point", the small fishing town has blossomed into a popular modern day vacation destination. Rocky Point is a little over 60 miles from the USA Border which makes this seaside city a popular drive to destination by visitors from the United States and Canada. A short drive of 3 1/2 hours from Phoenix or Tucson Arizona, Rocky Point is often called "Arizona's beach" because it is so close in proximity to Arizona. 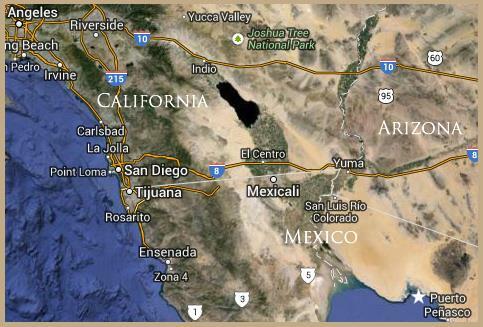 Puerto Peñasco is about 5 hours from San Diego on the new intercostal highway. Are you worried that you won't have an American grocery store to purchase your favorite American brands while living in Puerto Peñasco, Sonora-Mexico? Don't worry, the city of Ajo is just 2 hours away from Puerto Peñasco and it has fully stocked grocery stores for all of your needs. 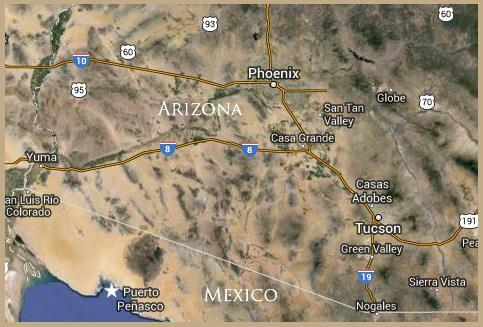 An American Post Office is also located at the border in Lukeville, Arizona (one hour from Puerto Peñasco) where you can receive your postal mail. UPS packages can be received at the local gas station on the border as well. You have all of the comforts of the USA right at the seashore. See you soon in Puerto Peñasco!